This research analyses the performance of the restricted earth fault (REF) relay used on a 400kV capacitor bank scheme used on the Eskom Transmission network. After the commissioning of two capacitor banks using the mentioned scheme design the plant was energized. As a result of the energization the Shunt Capacitor Bank (SCB) then experienced spurious trips. The cause of the trips was found to be the operation of the restricted earth fault relay. In this research project, restricted earth fault protection on shunt capacitor banks in the Eskom Transmission environment will be the area of interest. The proposed research will analyze the current Shunt Capacitor Bank (SCB) protection scheme in service specifically looking at the restricted earth fault circuit design and relay performance. An equivalent model of the SCB from primary plant perspective based on theory will be derived. Recording and analyzing of Comtrade transient waveforms respectively, when the bank is energized, will be done in order to provide a reference base to work from. 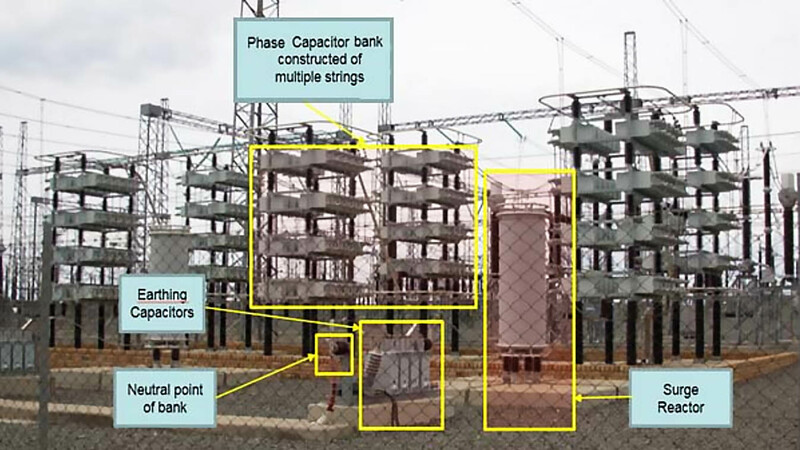 Figure 1 – Shows the 400kV 100MVAR Shunt Capacitor Bank at Hydra Substation situated in De Aar. One can see the individual capacitor elements, surge reactor and earthing capacitors respectively. Manual calculations of various parameters from the derived model including transient inrush currents and fault currents will be performed to access applicable scheme parameters. Further calculations will include the voltage setting for the restricted earth fault relay. As a result of the analysis a recommendation will be made on a viable solution or a revised design will be put forward, based on the results, to improve the scheme’s performance. The protection scheme is used on the two 400kV 100MVAR capacitor banks 11 and 12 at Hydra Substation. Figure 2 above illustrates the single star earthed bank in a single line diagram form. The capacitor bank itself indicates the star connection on a per phase basis. The outdoor bay comprises of the following switching devices: busbar isolators (off load switching), a circuit breaker for on-load switching and for the isolation of faults, earth switches for safety and maintenance purposes. The purpose of the reactor is to detune the dominant harmonic current. This includes presenting the shunt compensation as an inductive quantity to the network in order to mitigate resonance between the capacitor bank and the inductive overhead line. Instead, the series reactor resonates with the capacitor with the affect that their resonant magnitudes cancel each other out. What is the problem if the neutral to ground of Transformer 100kVA has a voltage reading at no load and increases when the transformer has a load. ? Good topic plz do send .